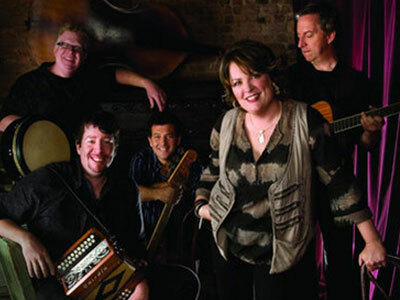 Eileen Ivers, the pre-eminent exponent of the Irish fiddle in the world today, and her band, will perform their heartwarming holiday show featuring traditional Irish songs, original tunes and holiday favorites specially arranged by Eileen Ivers and Immigrant Soul. Eileen Ivers will change the way you think about the fiddle! This event is sponsored by Legislator John Murphy as a Benefit for the Brest Buddies Campaign Against Cancer. For more information visit: www.eileenivers.com. Sponsored by Legislator John Murphy as a Benefit for the Brest Buddies Campaign Against Cancer. Eileen Ivers, the pre-eminent exponent of the Irish fiddle in the world today, and her band, performed their heartwarming holiday show featuring traditional Irish songs, original tunes and holiday favorites specially arranged by Eileen Ivers and Immigrant Soul.